106.9 Play is now on Alexa! 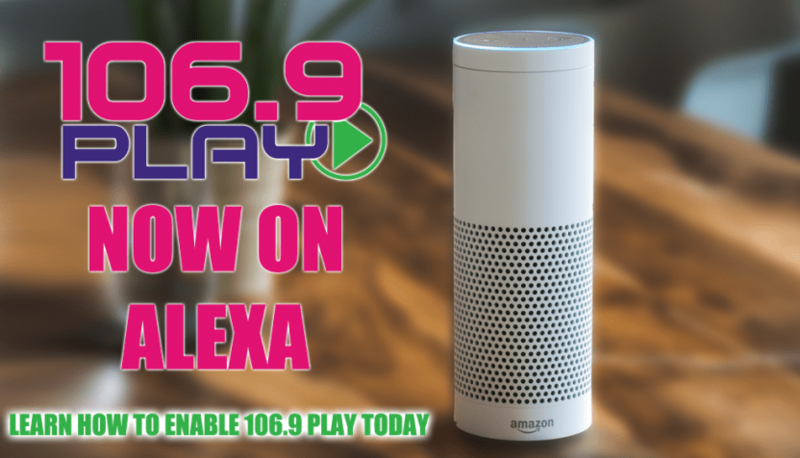 Listen to 106.9 Play on Alexa! To enable the skill: Simply say, “Alexa, enable the 1-0-6-9 Music skill” to get started. Once you’ve enabled the skill, just say, “Alexa, play 1-0-6-9 Music” to hear Louisville’s Best Mix of Music. That’s it! Thanks, and enjoy!